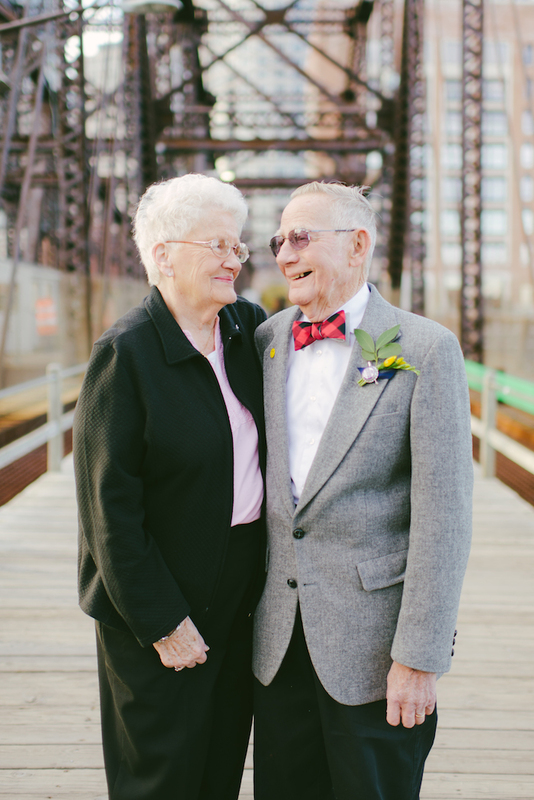 Donald and Dorothy Lutz, affectionately known as Nina and Gramps, have been married 61 years. 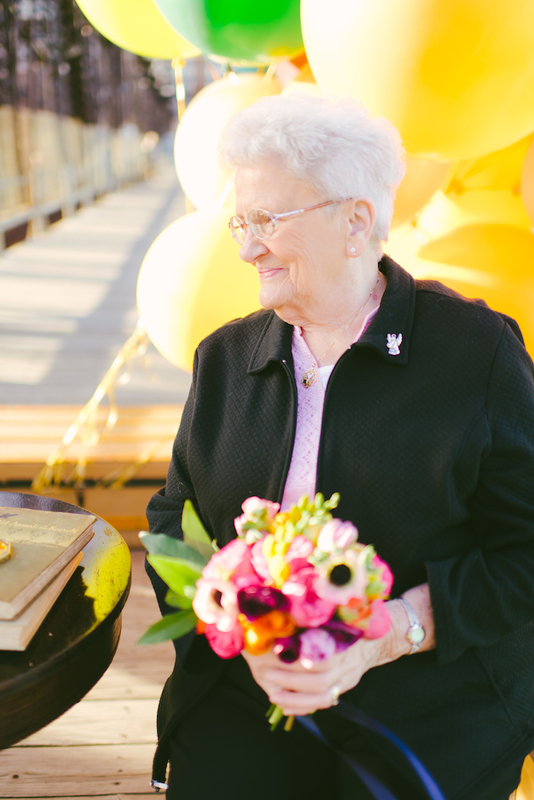 Sadly, they were stood up by their wedding photographer, leaving them with only one photo of their happy occasion. 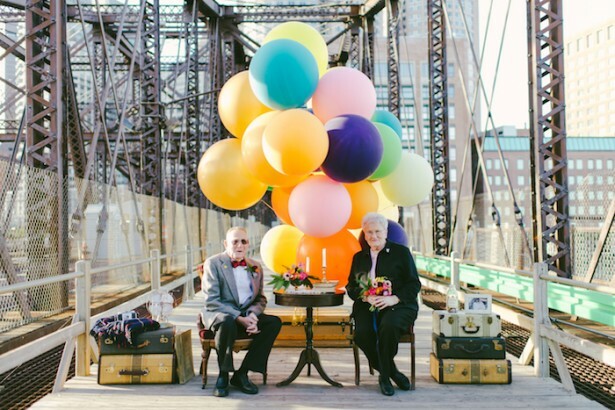 But six decades later, they received one of the cutest anniversary gifts – a beautiful anniversary photo shoot inspired by Disney’s ‘Up’. 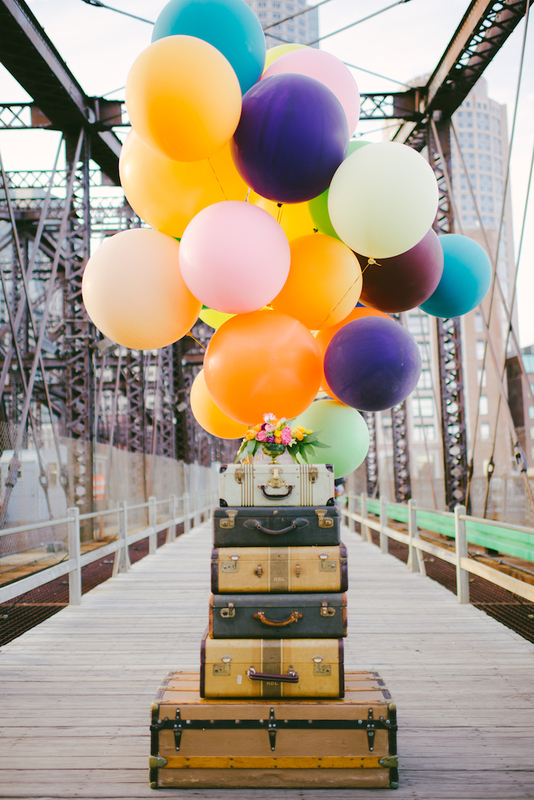 Event planner Lauren Wells – who is married to the Lutzes’ grandson Matt – had the idea when she was left with a huge bunch of coloruful balloons after an event. 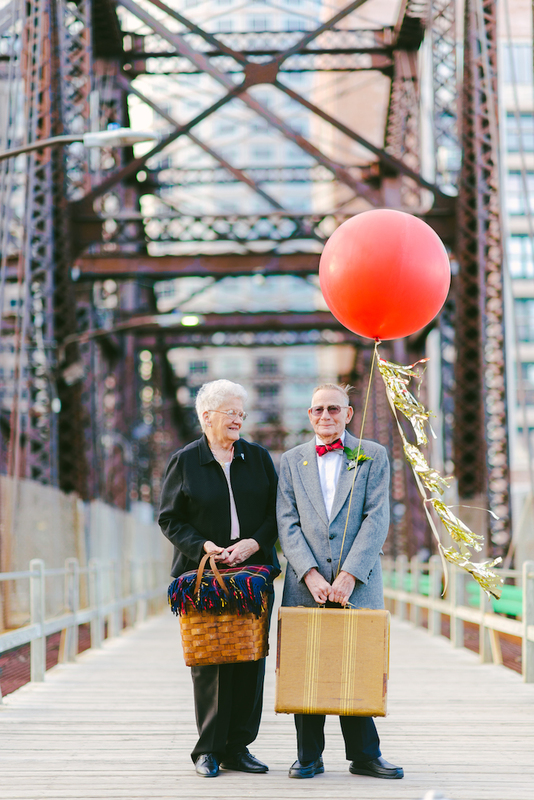 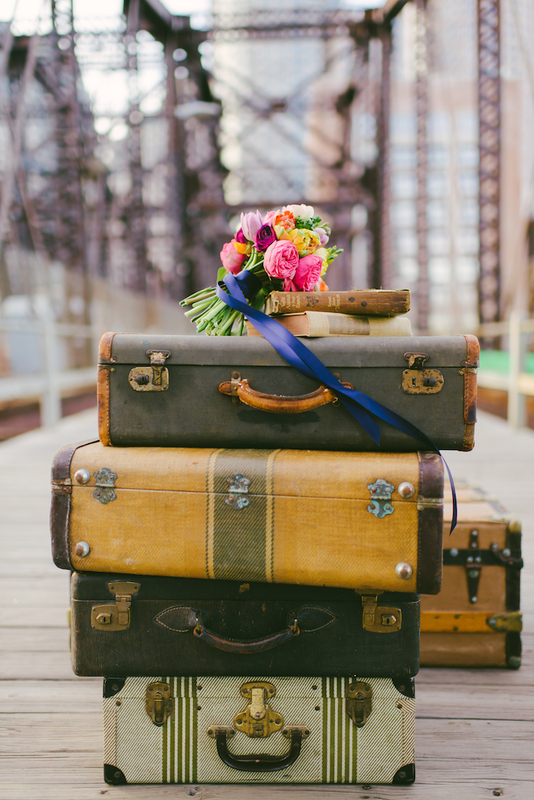 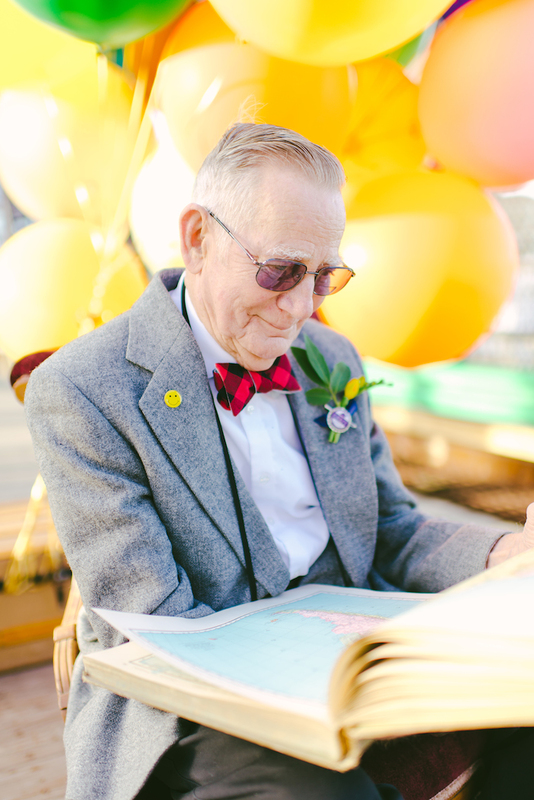 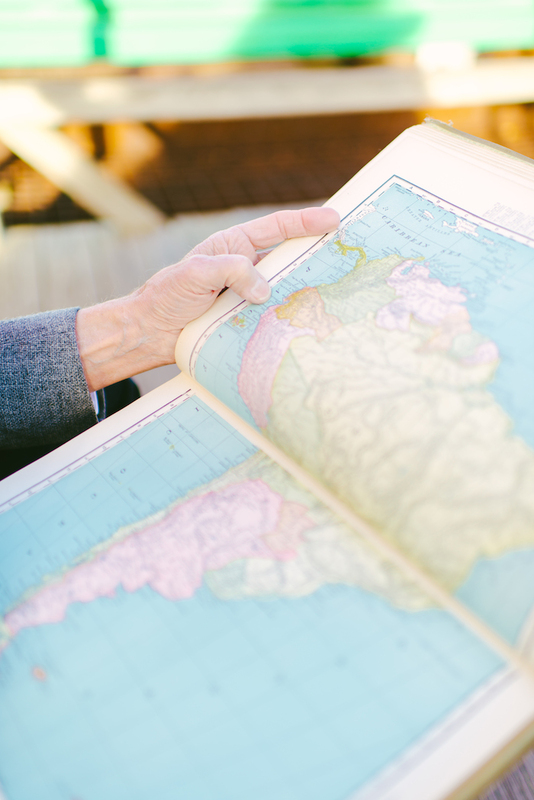 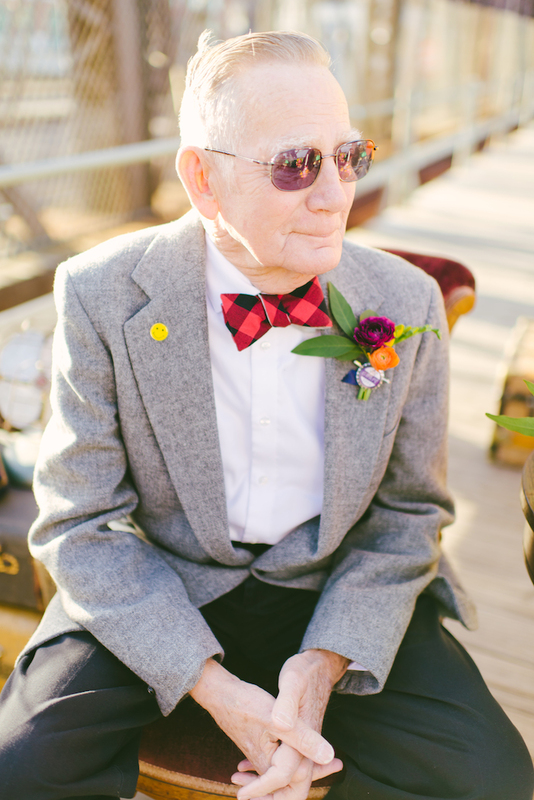 Wells thought it would be the perfect way to celebrate the couple’s love, so many years after they said their vows. 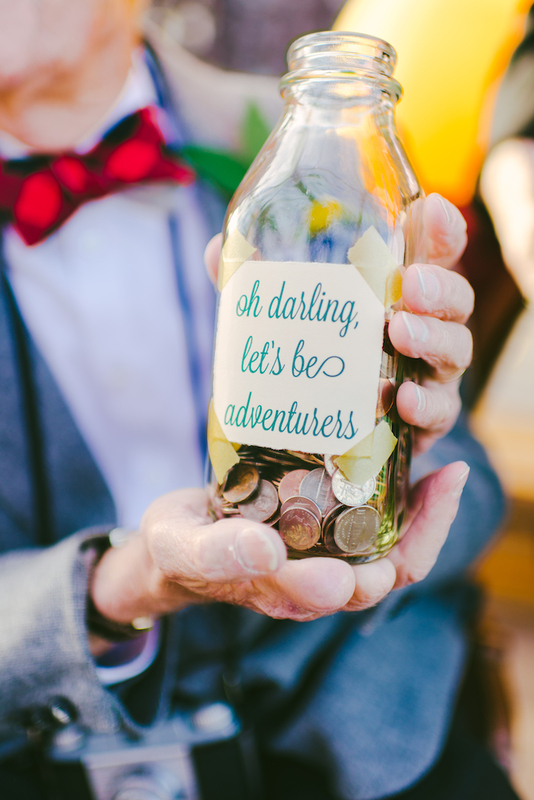 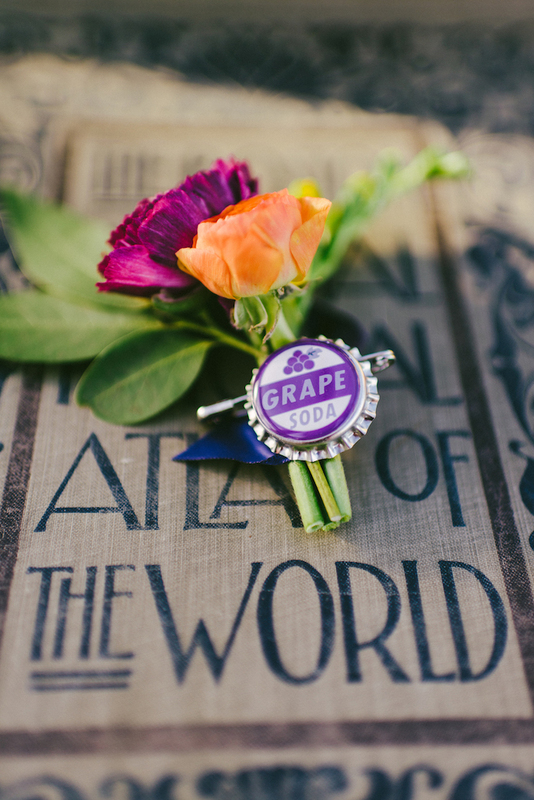 Wells worked with Cambria Grace of Cambria Grace Photography to create a truly whimsical and magical anniversary photo shoot. 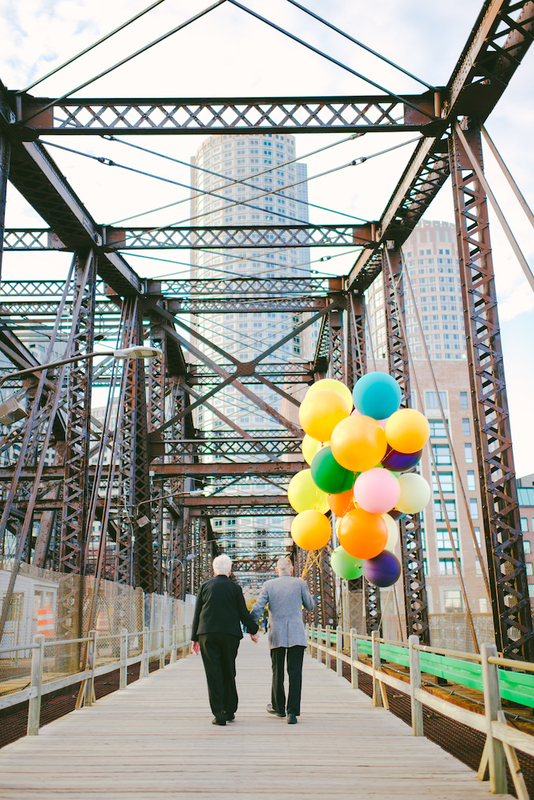 The photo shoot took place on Old Northern Avenue Bridge in Boston. 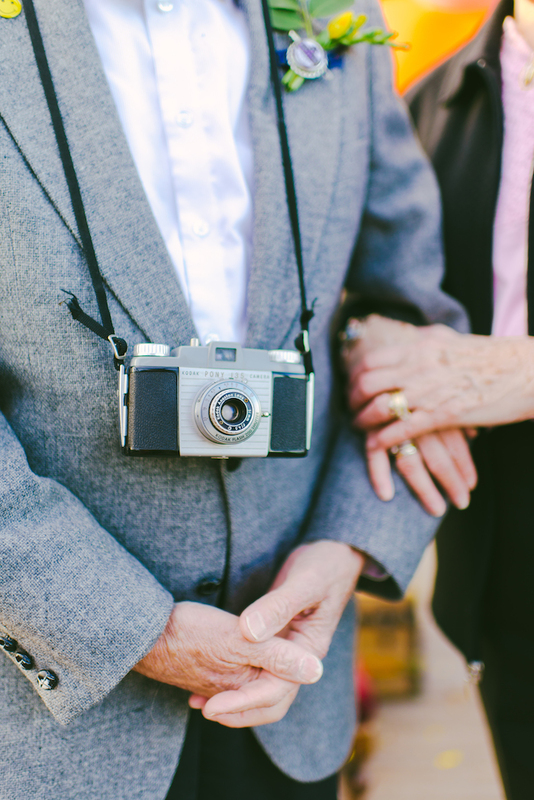 While Nina and Gramps didn’t know how a photo shoot worked, they played the part beautifully. 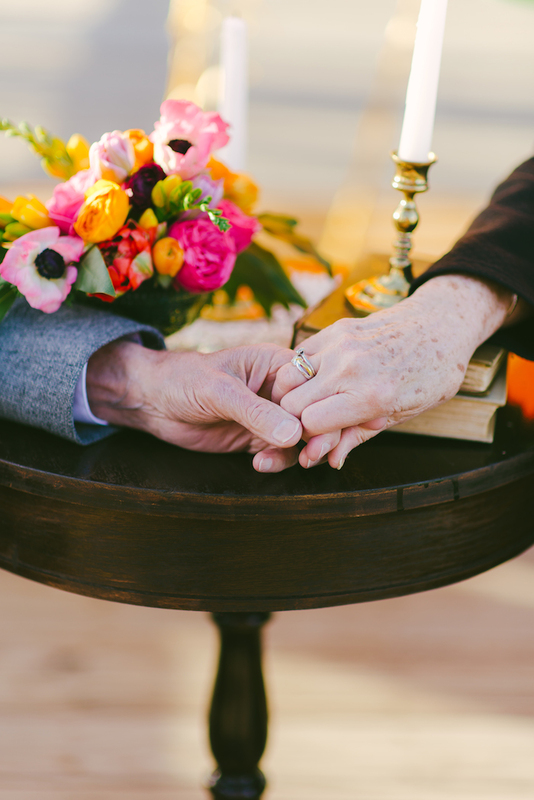 They are obviously still very much in love after all those years and have something that every couple should aspire towards.